Have you noticed the face of downtown changing in recent years? It would be hard not to, but you may not recognize the man who heads up the organization behind many of those improvements. Eric Paull, 53, is an Idaho native who works by day at Washington Trust Bank as a vice president of corporate banking. 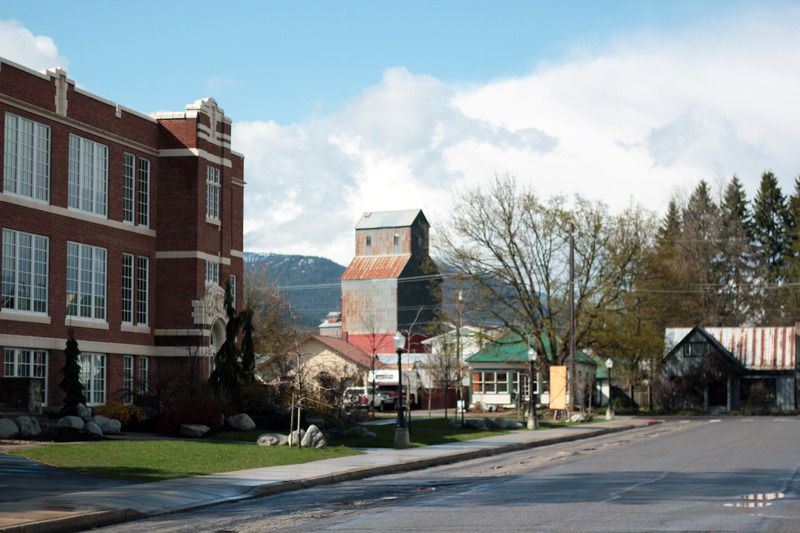 His other passion is heading up the Sandpoint Urban Renewal Agency (SURA), which receives funding via tax increment to funnel into critical, public infrastructure and improvements in the city of Sandpoint. “Sometimes in my industry you can’t see what you do. Even if I make a loan, I don’t often see the results. But (with SURA) when I do hardscape and infrastructure, for example on Second, you can see it. I like that part of it and the excitement it brings,” Paull said. With his business sense and financial background, Paull emphasizes the stewardship end of his involvement with urban renewal by choosing projects for the right reasons. He takes a conservative approach and makes sure projects pencil out. Paull’s favorite SURA projects are the Sand Creek boardwalk extension north of Bridge Street, the Dock Street/Windbag Marina renovation, redesigning Second Avenue, and making improvements to Sandpoint’s historic Panida Theater. “That’s an icon, so it was fun to help that building,” he said. A determined man, Paull credits a hardscrabble childhood in Lewiston, where he was raised by a single mom of four children. His mom and German grandparents showed him the value of hard work and self-motivation. “I didn’t have a lot of the privileges my friends had,” he said. The 6-foot, 2-incher played basketball in high school and worked part-time at a bank, where he continued to work while attending college. He graduated from Lewis Clark State College with a Bachelor of Science in business administration and began a full-time career in banking in 1982. Later, he graduated from the Pacific Coast Banking School. In 1995, he moved from Coeur d’Alene to Sandpoint when he transferred with First Security Bank. He had skied at Schweitzer when he was growing up and always liked the town. He still enjoys skiing and gives back to Schweitzer and people who ski by volunteering as a mountain host. “I don’t show them my secret stashes though,” he said, grinning. He and his wife, Lisa, enjoy raising their two sons, Bridger, 20, and Carson, 17, and going out on the lake along with other outdoor pursuits, such as mountain biking and hiking. Paull also enjoys gardening, fishing and cooking. Besides chairing SURA, Paull is a member of the Sandpoint Rotary Club, a board member of the Kootenai-Ponderay Sewer District, an advisory board member of the Festival at Sandpoint and a board member of the Bonner County Economic Development Corporation. In all, he volunteers an average of five to seven hours a week. “You have to learn to be efficient with your time,” he said. Indeed, as a professional with a family and a dizzying amount of volunteer duties, Paull shows the community how it can be done.